Preheat over to 425º. 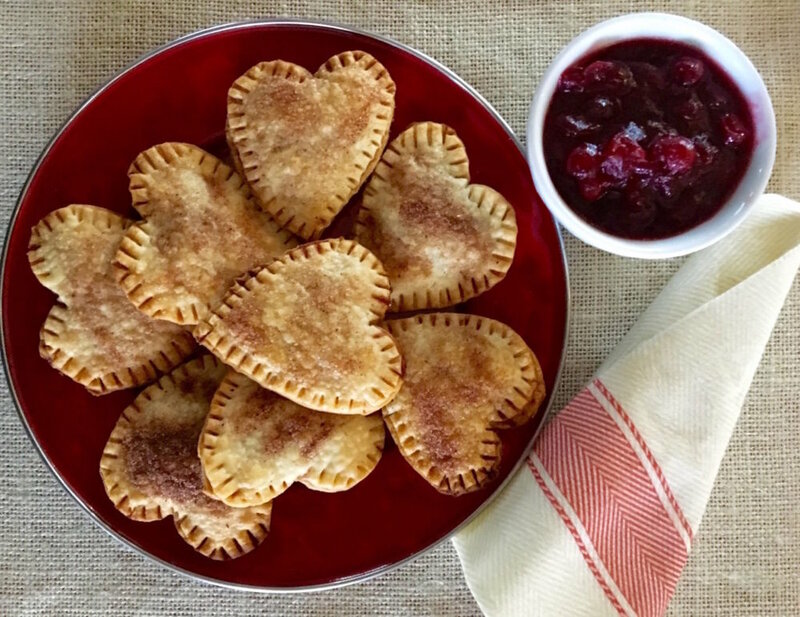 Unroll pie crusts and cut out heart shapes. Put a tiny dollop of cranberry on half the hearts. Don’t overfill the hearts or you will have oozing issues. Top with the remaining hearts. Crimp edges together with fork tines. Place on a baking sheet and sprinkle tops with a bit of sugar. OK, get festive and use that red sugar you probably have in the back of a cupboard somewhere. Cook until golden brown, about 15 minutes. Let cool, then serve to all your friends, making sure to give first dibs to those who professed cranberry love before they tried these.